We are constantly working on developing new products, styles to offer you the selection possible. Q4: Can I get a sample before order9 A: Yes, we can provide sample backpack for you before order. Q7: Can you help shipping or deliver cargos to door9 A: We can do that either by ocean or by air,by express! 2. Can you factory pass the factory audit9 Yes, our factory passed the Disney, Target, PVH, JCPenny's factory audit, etc. 6. 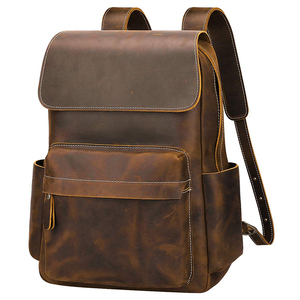 Do you offer any other backpack or leather goods9 Our factory mainly offer leather goods,such as belts, wallets, handbags, bracelets, etc. We can do with various of materials, such as top grain leather, split leather, PU, canvas, fabric, metal, etc. 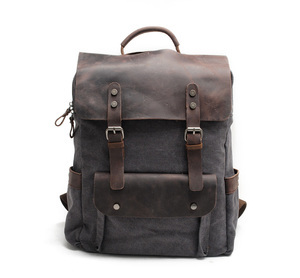 Guangzhou Daniu Leather Co., Ltd.
Alibaba.com offers 1,654 horse backpack products. About 54% of these are backpacks, 5% are school bags, and 3% are handbags. A wide variety of horse backpack options are available to you, such as free samples, paid samples. There are 1,580 horse backpack suppliers, mainly located in Asia. The top supplying countries are China (Mainland), India, and Pakistan, which supply 95%, 2%, and 1% of horse backpack respectively. Horse backpack products are most popular in North America, Western Europe, and South America. You can ensure product safety by selecting from certified suppliers, including 168 with Other, 117 with ISO9001, and 38 with BSCI certification.